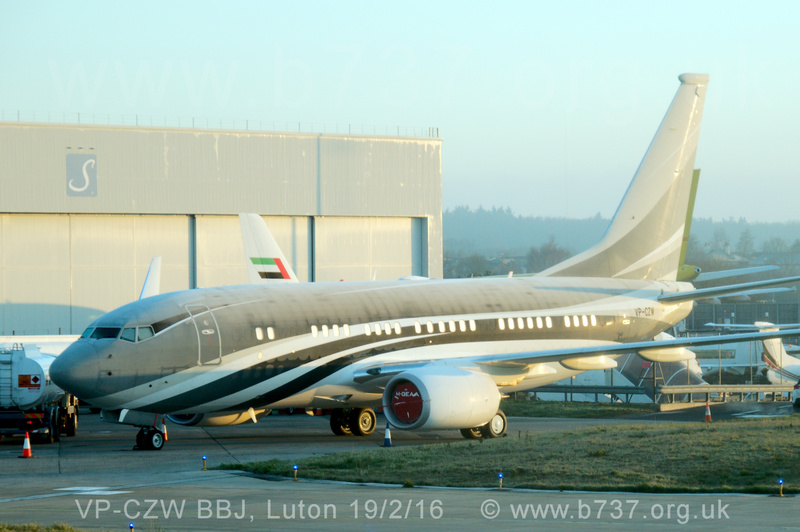 VP-CZW (38408 / 4730) Wuleen Investment Corporation BBJ. 19th February 2016, at Luton on a frosty morning. This aircraft first flew on 8 Dec 2013 and in those two years has had three different owners and registrations. The engine covers show the previous registration M-GEAA.